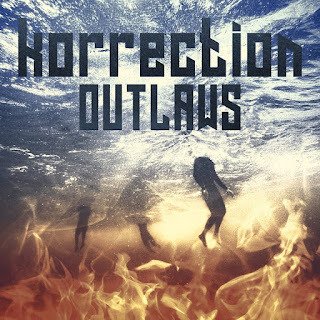 Δελτίο τύπου: «Korrection is a band that aims to bring out the good old fashioned retro rock into the spotlight. We do not aim to get money out of it so that is why we set the purchase/download price to 500 euros so nobody can buy the tracks. Βιογραφικό: «KorrectioN was formed in the summer of 2016 in Athens Greece, basically as a recording project of Dimitri's Korres. Dimitris had a long and successful presence as a singer in various bands(Heavy Dirt, Hellhound's Trail, Dogbone Slam) over the years, but he also played guitar in order to compose songs for those bands. The first songs to be recorded for the KorrectioN project were "Blues of Kain", "Taking my Dues" and "Shades". After 6 months of jamming and rehearsing with friends the final line up of Dimitris Korres, William Baldo and Kostas Kougioumoutzakis was ready to record the 3 tunes which are freely available as an EP in bandcamp under the title 'Shades'. After the recordings of 'Shades' Dimitris decided to bring full time members and that's when Aggelos Papaggelou and Giannis Liouskos came in KorrectioN. Aggelos is a groovy bass player that quickly brought ideas and good vibes and Giannis is a steady, rhythm machine that laid the path for the new tunes to start rolling. ROCK STAR 17 Απριλίου 2019 - 10:09 μ.μ. Πάρα πολύ ωραίοι δεν τους γνώριζα. Είναι και Έλληνες μπράβο. Rock will never die! BALADEUR 18 Απριλίου 2019 - 5:17 μ.μ. HEAVY METAL THUNDER 19 Απριλίου 2019 - 9:54 μ.μ. Αυτοί είναι καλοί να τους ακούς σε μπαράκι πίνοντας μπύρες. Ταιριάζει γάντι. BALADEUR 21 Απριλίου 2019 - 5:18 μ.μ.